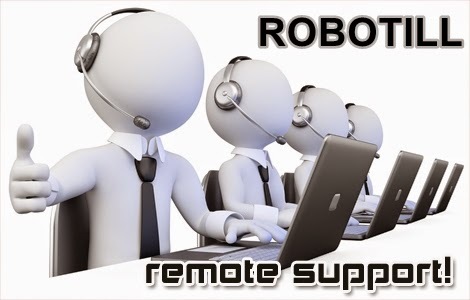 ROBOTILL No longer uses Chrome Desktop for remote support. Step 1: If you are not already using Google Chrome as your browser, download and install Google Chrome (you can keep on using your existing browser as well). Email ROBOTILL Support and ask for support. They will arrange a time with you when they will be able to connect to your computer. When they ask you to send you the Remote Desktop ID, follow the steps below. Right click on the Chrome icon on your desktop. Open Google Chrome, open a new tab and click on 'Apps' on the toolbar. If you don't have a toolbar with the Apps icon or you can't find the remote desktop icon, just open a new tab and type in chrome://apps/. 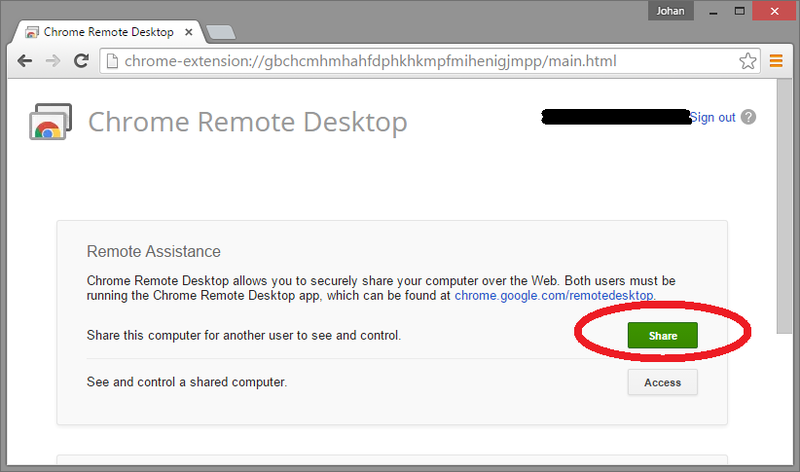 Click on 'Chrome Remote Desktop'. A number will appear. Email ROBOTILL Support the number. ROBOTILL will connect to your computer and sort out your problem. Important instructions to follow when ROBOTILL connects. Give ROBOTILL Support time to work on your computer. Only type a message if asked a question by ROBOTILL. 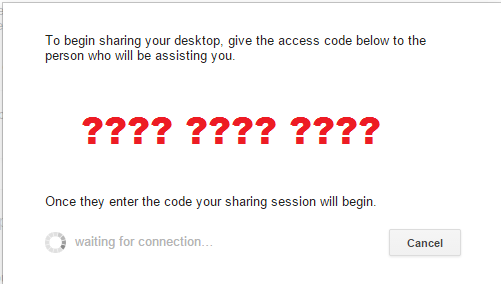 Every couple of minutes Chrome will ask you if you want to allow the session to continue. A message will appear at the top of your screen. At that time, ROBOTILL support will loose control and you need to click on 'Allow to Continue'. If you don't, the session will end. When a User Account Control message comes up asking if you want to allow the program to make changes to the computer, ROBOTILL will also not have control. Click on Yes.